Light up your home by adding a stunning ceiling light – it can completely change the look of a room! Light up your home by adding a chandelier. Lighting is one of the most important elements in making your home environment function effectively and look beautiful. A new ceiling light fixture – or chandelier as they’re often called – can completely change the look of a room, making it a key element of your decorating plan. We think about ceiling light fixtures mostly for dining rooms, but they’re perfect for so many other rooms too, including the bedroom, living room, foyer, kitchen, bathroom, outdoor living spaces, and more. A ceiling light adds style and can reduce clutter. A stunning light fixture can create a big impact in a room and, yet, it’s somewhat unique as a design element because it doesn’t take up any of your floor or wall space. It can actually reduce clutter while, at the same time, adding style! For optimal beauty and function, work with an expert to select light fixtures that are the right size and hang them at an appropriate height for your application. 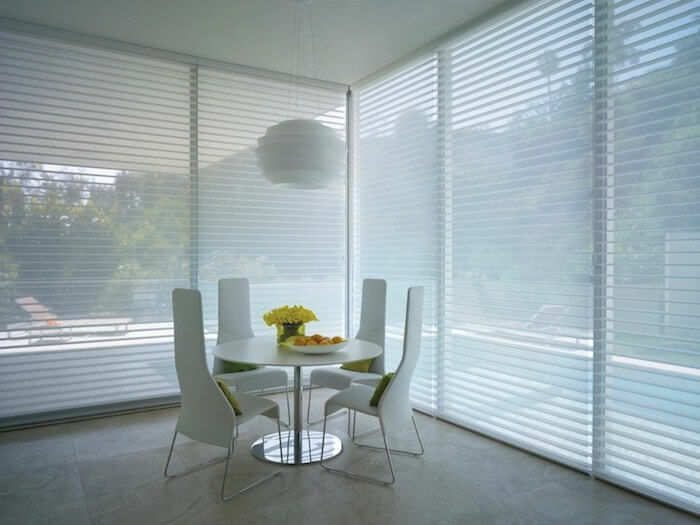 Lighting strategies are quite different for dining rooms, living rooms, foyers, kitchens, bathrooms, and home offices. Lighting can work to set a soft, romantic mood, or to provide a spotlight in a specific area, or it can furnish an overall wash of brightness. So do think about the quality of light that a fixture provides, including the number of bulbs, bulb wattage, color of bulbs and more. Dimmers are almost always a good idea since they give you options for brightness at various times of day or depending how you’re using the room at a given time. This spring, get the drop on beautiful room design with a new light fixture! 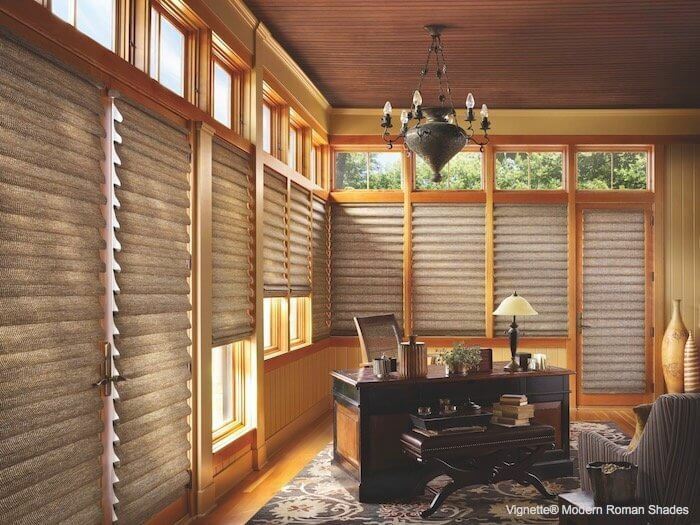 ← Newer2018 Smart Shades Special Hunter Douglas Savings Event! 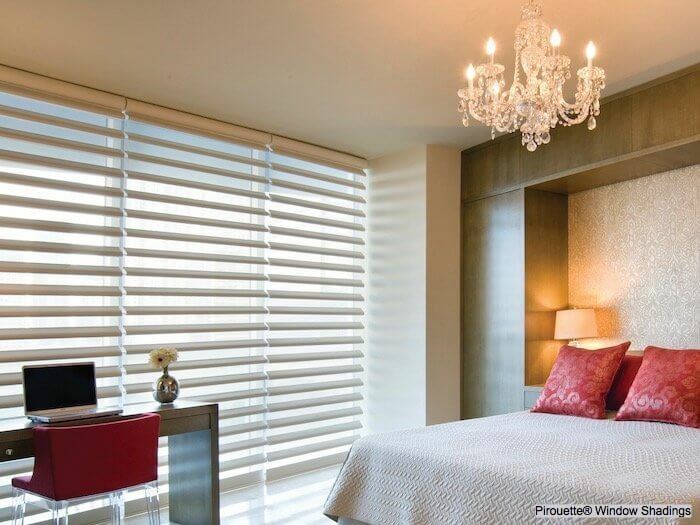 Older →2018 Celebration of Light Special Hunter Douglas Savings Event!